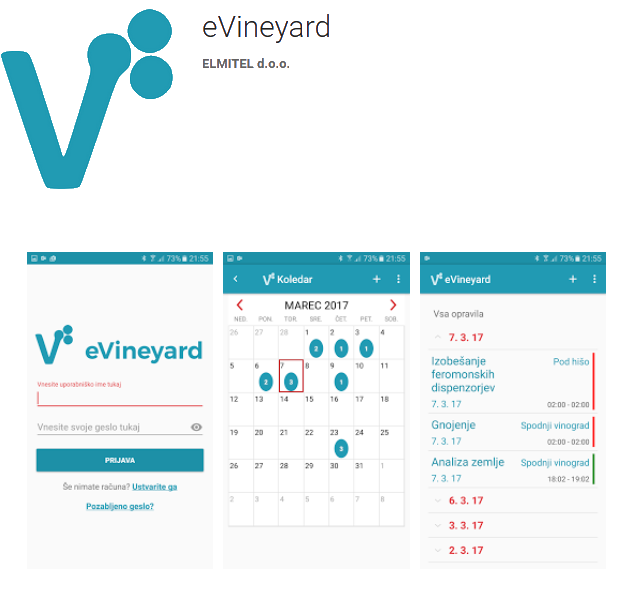 eVineyard is like your electronic diary of vineyard management work, with a ton of other functionalities. Simply enter your activities in eVineyard once through a web or mobile application, you get multiple insights and outputs that can save you plenty of time and money. eVineyard helps you be in control of your costs, and rise profitability of your vineyard management operations. By entering your activities and purchases in eVineyard, you are building your own cost profile of your vineyard management operations without any additional work. With the help of costing module of eVineyard, you can keep track of your production costs, find bottlenecks and space for optimizations, and rise profitability of your vineyard. With eVineyard, you can make sure that you stay compliant with all of the local and national regulations and laws, as well as to have a properly filled out records required by your certification agency. Simply enter the activities on your smartphone while you are performing them. In eVineyard, you can print the work activities in the format you require - be it a national or international one, we very likely have you covered. If you want to make sure, just ask us in the chat. No more losing records, and no more headaches with the vineyard work book. Every record you make will help you become a better winegrower in the future, and at the same time fuilfill the paperwork. If you are managing multiple vineyards, blocks and plots, then mapping module can help you to revise and plan your work visually over the parcels. What is even more, for bigger wineries, in combination with GPS tracking of tractors, you may use mapping module to extract information about the activities which were done on the field. 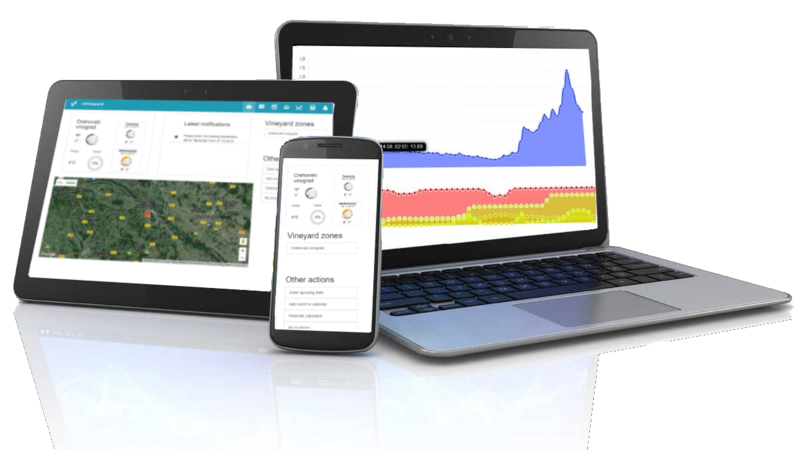 Perfect for organization improvement in large wineries, as well as crucial for precision vineyard management practices, mapping functionality is one of the functionalities that require no additional work for vineyard managers and workers, but offer a great deal of valuable information. 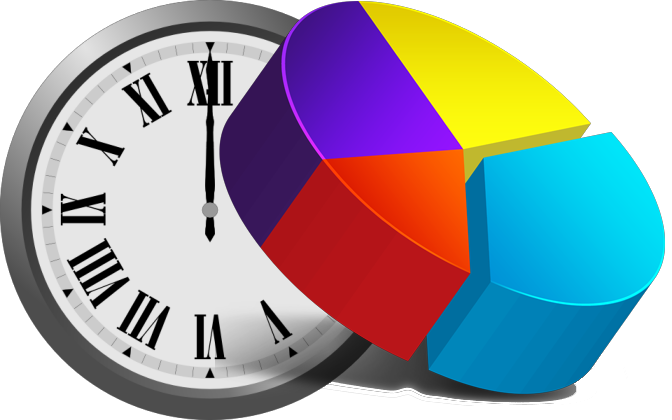 Estimate work times, organize your tractorists and workers, and manage your field work in a distributed way. This functionality is perfect for a bit larger vineyard management companies with multiple people managing the vineyard – and is indeed scalable enough to encompass management of your seasonal workers as well. Our customers used work organization features on as much as more than 160 seasonal workers in the vineyard across a number of smartphones and tablets. In eVineyard, you can print the vineyard workbook and data about stock of substances in the format you require - be it a national or international one, we very likely have you covered. If you want to make sure, just ask us in the chat. No more losing records, and no more headaches with the traceability documentation. Every record you make will help you become a better winegrower in the future, and at the same time fuilfill the paperwork. 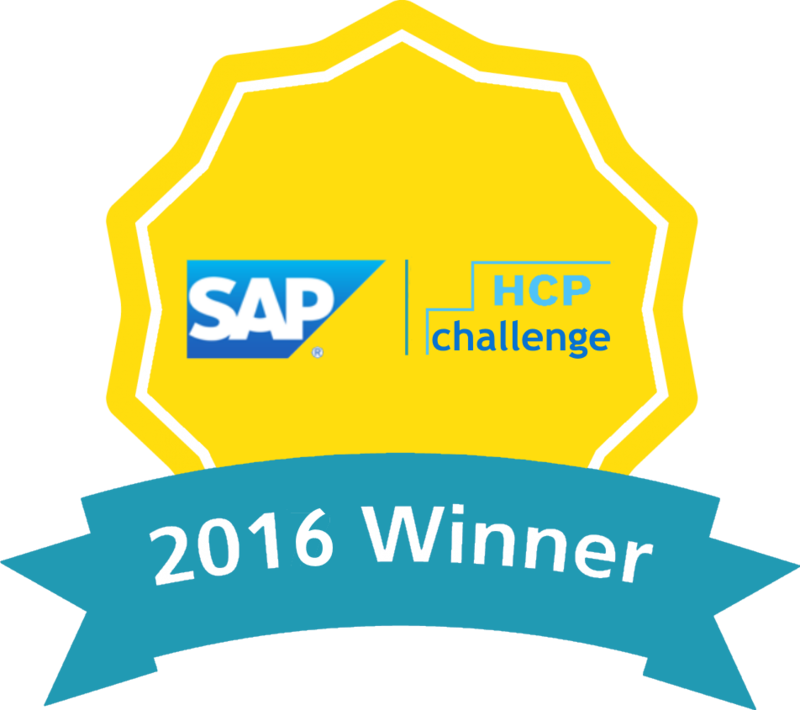 for CEE region in 2016 as the most innovative start-up using SAP HANA platform on the challenge. Partnering with, and using the latest high technology from, the world's largest business software company SAP, allows us to say with confidence that eVineyard will always be able to provide you with the latest cutting-edge solutions for your challenges.